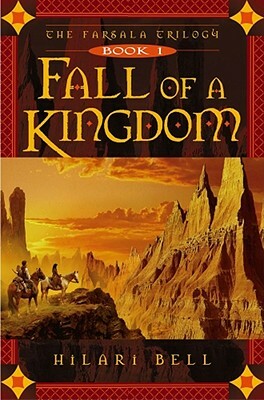 Fall of a Kingdom (Book 1) By Hilari Bell- Farsala is a mythological country long ago with a wise king; but the country has a caste system. The King and his followers, the deghans are the upper caste; while the peasants make up the remainder. Unfortunately, in part 1, the deghans and their honor almost destroy them as the enemy approaching the borders decimates the deghan cavalry thrown against them. The enemy are the Hrum (think Romans) – who have conquered much of the world by superior battle strategy. If they cannot conquer a country in one year; they will make the country an ally rather than spend their soldiers and resources uselessly. All the peasants of Farsala have to do is hold out for one year. Stories tell of a hero that the God Azura will provide when the country is in need, the reincarnation of a long ago hero, Sorahb. The enemies of the King require that the king’s beloved daughter Soraya be sacrificed. She is hidden away in a farm way below her station; but escapes to the desert to live with the Suud who take her in and teach her a new way to live. The king’s unacknowledged young son, Jiaan hides and gets a resistance together. The peddler, Kavi, who was to keep the king apprised of his daughter’s well being turns traitor due to abuse of one of the deghan class. The Hrum are now at a standstill at a city, Mazad, under siege and hoping to hold out for the required year with the aid of the resistance. This trilogy has everything – loyalty, honor, betrayal, bad guys, good guys and redemption. The adventure is never ending, keeping the interest going to the very end. There is great diversity of the peoples involved. The Hrum, except for their treacherous commander, are good rulers and fighting to a standstill to become an ally is a desired end due to the benefits involved, fair taxation and good roads being only a part of it. Highly entertaining. 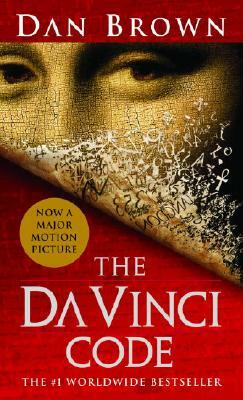 Answer: The Da Vinci Code by Dan Brown. 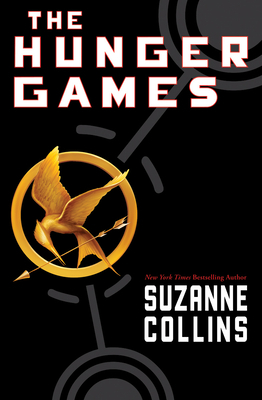 If you haven’t read this book yet, it would make for a great summer read. You are easily swept up into the story making it a quick beach read. Stop in the store or order online from our website for your copy. If you are looking for a nice cozy mystery, try Yasmine Galenorn’s Chintz’n China series. The characters are warm and entertaining, and the mystery has enough suspense to keep you interested. This series does have some paranormal aspects, but really just a touch here and there. 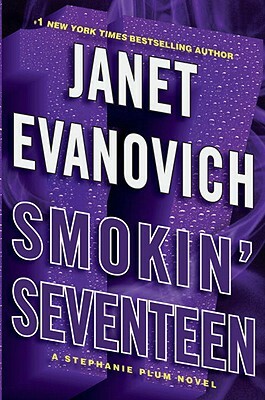 If I am craving a mystery, this is always the series I turn to first. 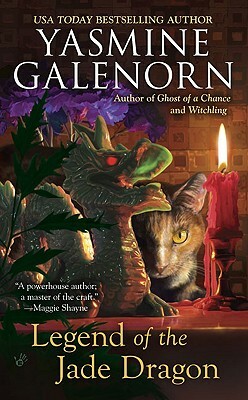 I love the homey feel that Galenorn creates in her stories as well as the mystery that takes me all around her small town, and at times Washington. Legend of the Jade Dragon is the second book in the series. It seems like Emerald has had nothing but bad luck after she witnesses a hit-and-run that resulted in the death of a mysterious customer who gave her a jade dragon statue. In order to keep her family safe, Emerald must get to the bottom of the mystery and find out how the dragon plays into her bad luck streak. Identify the title an author from the passage above. Leave your answer as a comment and check back on Sunday to see if you were correct. Stop in the store to pick-up your copy or order online from mostlybooksaz.com. 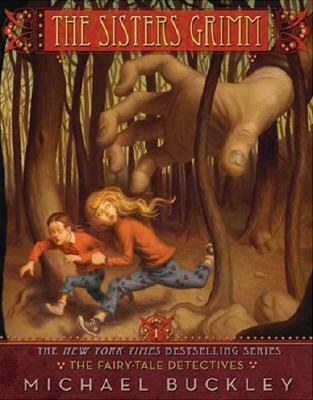 The Fairy-Tale Detectives by Michael Buckley is the first book in the Sisters Grimm series, and it was terrific. The story is about two sisters, Daphne and Sabrina, who learn that they are in-fact family members of the famous Grimm brothers. To make things even more interesting, the girls discover that the brothers’ fairy tales are actually cases that they were working on. It is now up to the sisters to take over monitoring the magical realm that is outside of town, which of course leads to all kinds of magical adventures. This was a really cute story and is perfect for grades third through fifth. The story has enough mystery to keep your young reader’s interest, but nothing too terrible scary. The end is sure to leave you wanting more, so don’t be surprised if your reader wants book two right away.